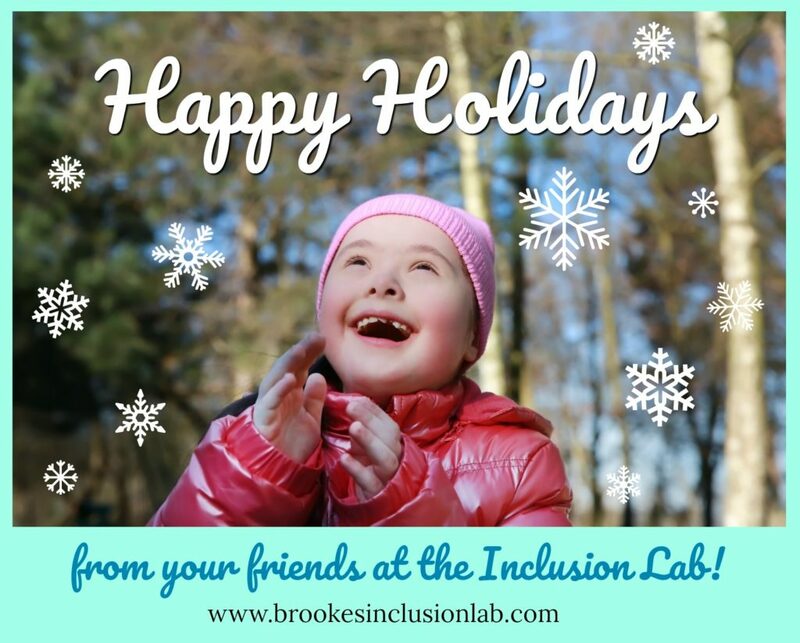 The Brookes Inclusion Lab would like to wish all of our readers a safe and happy holiday and a joyful and productive new year. The blog is taking its annual winter break, but we’ll be back in early February. 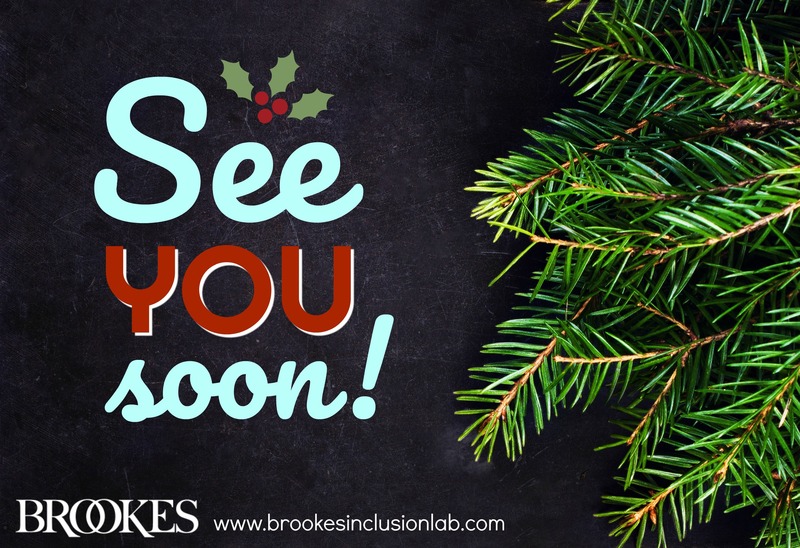 We’ll be spending our hiatus developing great new content on inclusive education to share with you in 2019. If there’s any specific topic you’d like to see us cover in the new year, please comment below and let us know—we’re here to help you in any way we can! See you soon, and thanks so much for reading our blog and helping all your students reach their full potential.